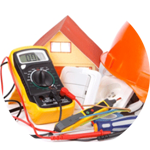 Looking for an Electrician in Kingswood? Great! You’re in the right place! 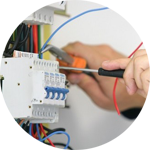 Introducing The Handy Squad, London Handyman service with a reliable team of efficient and professional electricians in Kingswood. 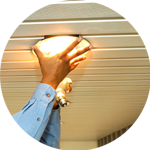 We install or adjust lightbulbs for both commercial and domestic use. 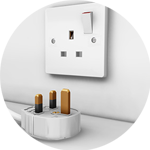 Our highly trained electricians can also change transformers, circuit cables and much more! 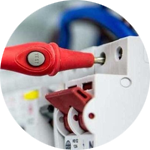 Finding the problem to broken devices or appliances can be taken care of by our fault finding and repairs service. Identifying the source of the issue is often a dangerous task, but our expert team can tackle the job both safely and efficiently. Kingswood is a large village on the North Downs within the borough of Reigate and Banstead in Surrey. It is home to the gothic mansion known as Kingswood Warren. Up until 2010, the building was used to house the BBC research and development department. We offer much more than electricians and handyman in Kingswood! There’s a range of other services, like plumbing in Kingswood, decorating in London and carpentry in London. If you want a new shower to be installed or some flat pack furniture needs to be assembled, we have the teams to get jobs done!